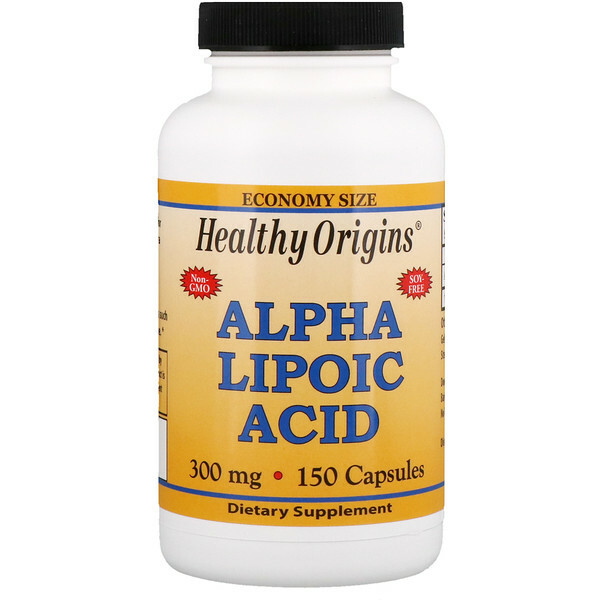 Healthy Origins Alpha Lipoic Acid is a powerful antioxidant which works synergistically with other antioxidants such as Vitamin E, Vitamin C and Glutathione. As a dietary supplement for adults, take one (1) capsule daily with a meal, or as directed by a physician. Microcrystalline cellulose, gelatin (capsule) and vegetable magnesium stearate. 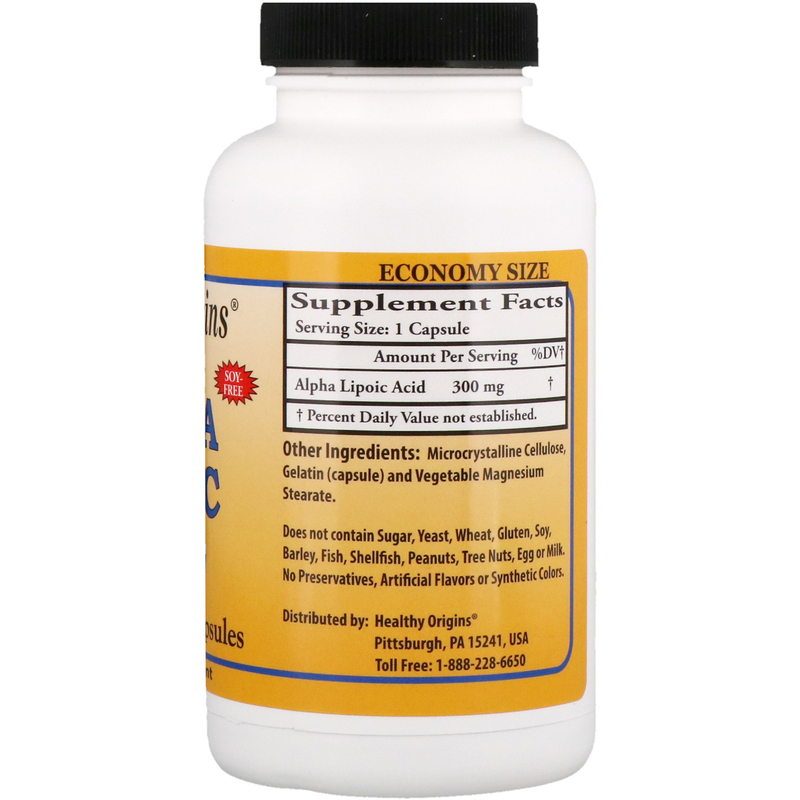 Does not contain sugar, yeast, wheat, gluten, soy, barley, fish, shellfish, peanuts, tree nuts, egg or milk. No preservatives, artificial flavors or synthetic colors.